Glamour flavoured that’s what the Inflamed Edition of the Swarovski Innovations “The Balance of Nature” is. Its strong red and yellow shades make it definitely more a 36 degree summer item than it is a spring thing. Yellow quartz was the key inspiration for this shimmering finish of the yellow opal tones. The puma is a highlight item and an utterly statement of passionate temper. A DIY? Maybe it can be a statement bag. And just in case someone asks why it sparkles so much. That’s got to be like that. 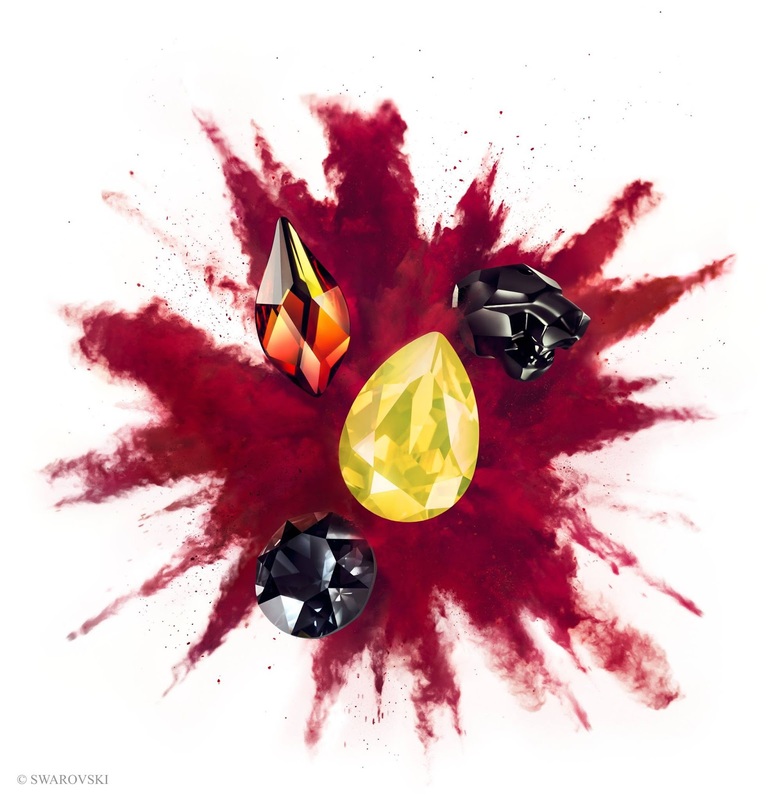 Glamour flavoured ist die Inflamed Edition der Swarovski Innovations The Balance of Nature. Mit kräftigen Rot- und Gelbtönen definitiv eher 36 Grad als Frühling. Der gelbe Quarz gab die Inspiration zum matt, schimmernden Finish des Yellow Opal Tones. Der Puma ist das Highlight und ein absolutes Statement mit Temperament. Ein DIY? Vielleicht eine Statement Bag. Und wenn einer fragt, warum die so funkelt: Das muss so.